One more day and we’ll be in Boise! It’s been a very hot week, which makes walking extra challenging because we have to get up very early or in no time it’s too hot to go on (there have been some record setting days of heat recently, 100 degrees is starting to sound like the norm). Also, our drinking water gets warmer and warmer as it sits in the sun as the day goes on, and it’s not very refreshing to drink hot water after walking 5 miles- thank goodness for ice and coolers! 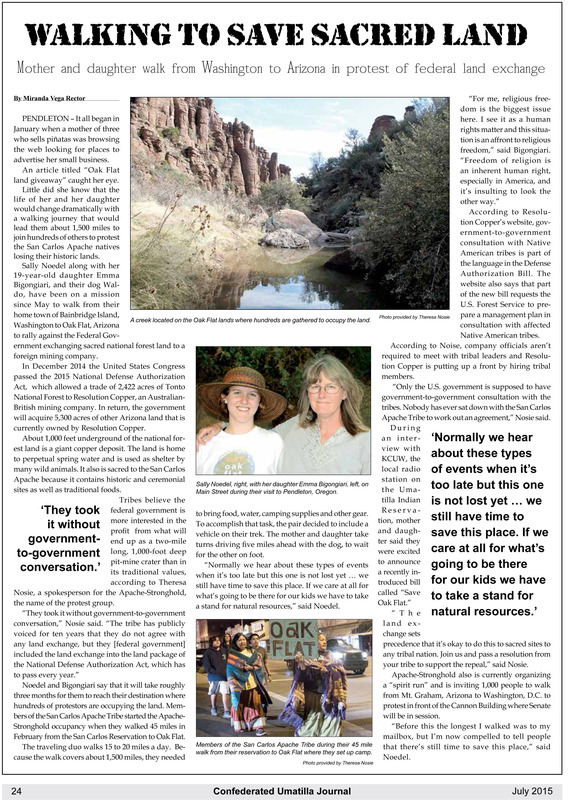 We were excited to see that today the Confederated Umatilla Journal released an article about the Oak Flat issue. We spoke with journalist Miranda Vega Rector in Pendleton, it was a pleasure to sit down with Ms. Rector to share our story. You can read the article here. 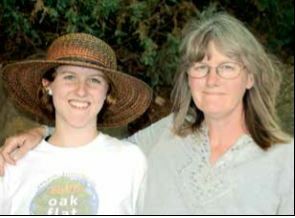 Check out the rest of the journal online for more great articles. The San Carlos Apache tribe will be starting their journey to Washington DC in just a few days, on July 5. As they pass through the states and raise awareness, we wish them good luck with spreading the word. A happy 4th to all!